Trees are endlessly fascinating organisms with incredible forms, awesome strength and countless uses. I often stand and stare at a particular tree and wonder what it has been through in it’s life, but to read that tree’s biography we need to able to read its body language ,visualise it’s internal structures and assess it’s weaknesses. When we understand why it has grown in a particular way and why the ripples, bumps and cracks in its bark are where they are, then we can start to unravel its story. There is also another more practical reason for being able to do this however and that is to avoid the potentially fatal consequences of a tree failing while you are standing underneath it!. Several years ago when I had responsibility for a programme of overnight camps in woodlands, there was a ‘near miss’ when a branch fell down near a member of staff’s tent during the night. Rather than just stop using the site, we paid a consultant to do a detailed survey of all trees in the camp area and submit a detailed report. This was expensive but vitally important to the safety of our staff and groups. It also started a germ of an interest in visually identifying tree hazards myself. 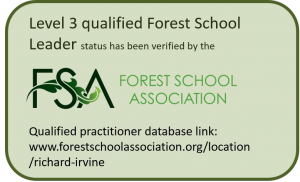 The following year, a colleague and I took a one day course in Quantified Tree Risk Assessment which is a system widely used by local authorities and tree professionals around the world. The methodology seemed sound and especially useful for those concerned with possible litigation however the skill gap to identify potential failures in the first place remained. I was directed to the work of Claus Mattheck, professor of Bio-mechanics at Karlsruhe University who , as well as trees, says he likes hiking, staffordshire bull terriers and large calibre weapons ! Unfortunately the only book I could find at the time was highly technical and cost £70. 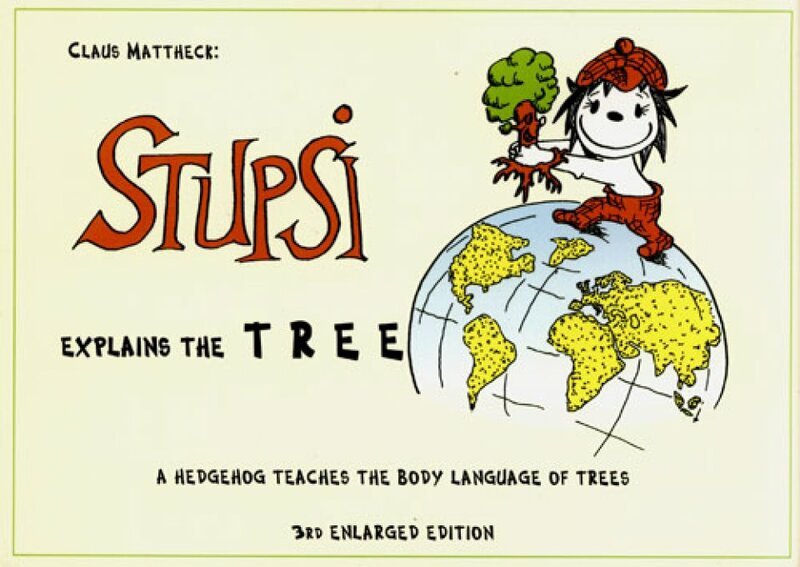 Stupsi is a hedgehog, who, through the author’s cartoon drawings explains some quite complex mechanics and tree biology in a very accessible way. There is no index, table of contents or chapter structure to the book but it does move from the simple to more complex ideas in a linear way. The book starts with how wind can affect broadleaved and coniferous trees in different ways and introduces the central idea of tension and compression wood. Stupsi then looks at what patterns in bark and the shape of stems and branches can tell us about the forces at work in the tree and which clues might hint at whether a branch might break or not. The section on hollow trees is especially good and explains well why hollow pollards can live so long. This is followed by lots on the structural role of roots, what may damage them and what the consequences can be for the tree. Urban trees and human impacts on them are covered in the last third of the book and it is only here that we get into the cellular structure of wood and explaining rings and rays in cross sections with the aid of ‘lignin chimneys’ and ‘cellulose hosepipes’. Once this concept is clear we move to understanding how some fungi break down lignin and others attack cellulose which helps explain different types of rot in wood. 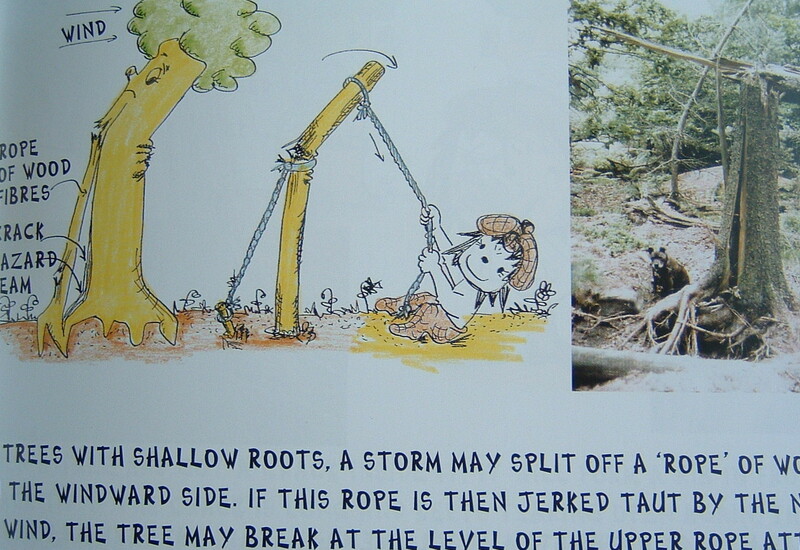 Each page is laid out with a cartoon of a tree with a particular issue or feature with stupsi modelling the issue using his body or a prop like a rope or banana. A photograph of an actual tree with this feature helps to illustrate the short cartoony text which avoids most technical language apart from a few terms like ‘axiom of uniform stress’ and ‘tangential compressive stress’ that creep in occasionally. Most of us have a rope in our bag and Stupsis demonstrations could easily be combined with the reader’s new knowledge of trees to help explain a particular tree form or hazard to a group in a forest school or other forest education situation. The ideas are necessarily complex but they are explained to lay people and non-engineers without the use of formulae and with photos and real world analogies. It is a short book that can be read very quickly, but I think it will be necessary to read it again and again and most importantly to take it into the woods when looking at real trees. 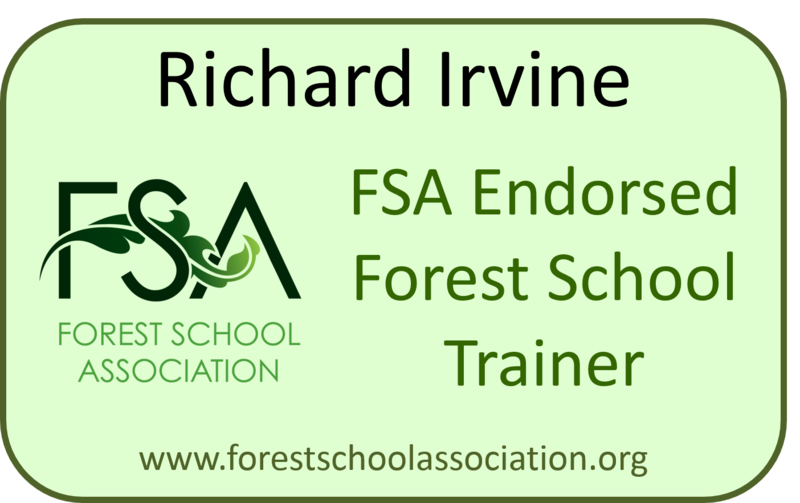 In relation to many other environments used for outdoor learning, forests and woodlands rank fairly low in terms of perceived and actual risks. Trees may fall, drop branches or be hit by lightning but these things happen rarely and mostly during particular weather conditions. To assess risks from tree hazards in woodlands we need to account for the time spent under any particular tree as well as correctly identify the hazard. The first part of the equation is straightforward – how big is the group, how often are they there and how much time is spent in particular places. Hazardous trees over our camp present much more of a risk than those which are merely passed by on an occasional walk. Identifying which trees and branches should be avoided, pruned or removed however is much more difficult and that is where Stupsi will be an invaluable companion. Having read this slim volume once this morning, I am twitching to head out the back door and look at the trees on the common with different eyes. I don’t expect to become expert overnight but at least now have the basic theory and language to test and explain my hunches. I might not be able to make the most tricky tree hazard judgements myself but will hopfully be better placed to know when I really need to phone an arborist or walk away from a site. So now we have thought a lot about trees, and studied everything that trees do. and we shan’t forget how lovely it is in trees and beneath trees, and how we can relax beneath them. When you are really sad, just sit down beneath an old tree and talk to it. Stupsi’s doing just that. It will help, make you better, and do you good! Just try it!!! And in case you are hungry for more straight away, here is a really good video of Claus Mattheck talking about forks and branches using lots of real examples.